This statement on the passage of the second reading of House Bill 41, or the “TSA pat-down bill”, was released today from the offices of Texas House Speaker Joe Straus (R-San Antonio). "I want to thank the numerous members of the Texas House who worked hard over the weekend to resolve the major concerns with HB 41. 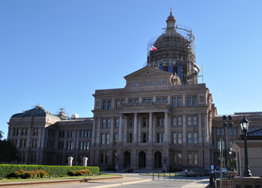 "After consulting with the Texas Attorney General and the Texas District and County Attorneys Association and making substantial revisions to the bill, I am satisfied with the House’s efforts to pass legislation that lets Texans travel safely, protects the privacy of citizens, and enables law enforcement do its job."